Nails today are a bright, blinging blue courtesy of Models Own Freak Out from the Mirrorball collection over a base coat of OPIs Unfor-Greta-Bly Blue. While I didn’t much go in for the Mirrorball collection, finding large glitters a bit of a pain in the tuckus to work with, I couldn’t resist this blue/purple glitter fest. You’re going to want to show the glitter in its best light. Complementing colours tone down bright glitters somewhat, while contrasting polishes amp up the effect. To complement Freak Out I chose from the same colour palette and went with this stunning metallic royal blue, OPIs Unfor-Greta-Bly Blue from the Germany Collection. The problem with large glitter pieces in polish is that they can be very hard to control on application for an even finish. To counteract this, twirl your brush as you remove it from the bottle, this removes any excess of the clear suspension polish. 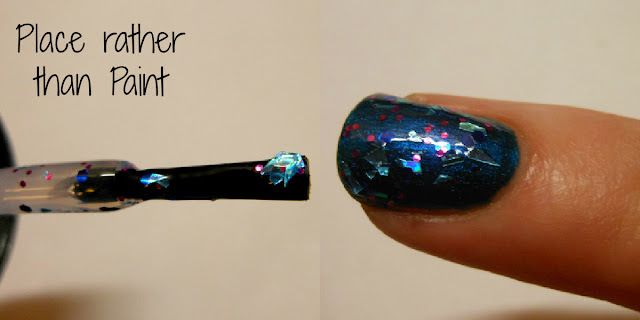 That way you can place rather than paint the glitter onto the nail bed. 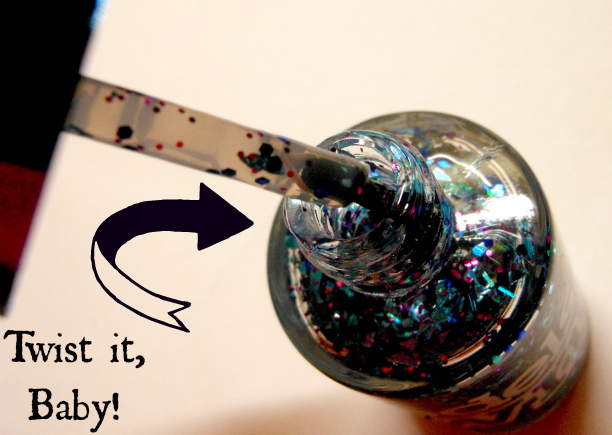 Glitters, by their very nature, are coarse on the nail, that’s what makes them so sparkley. 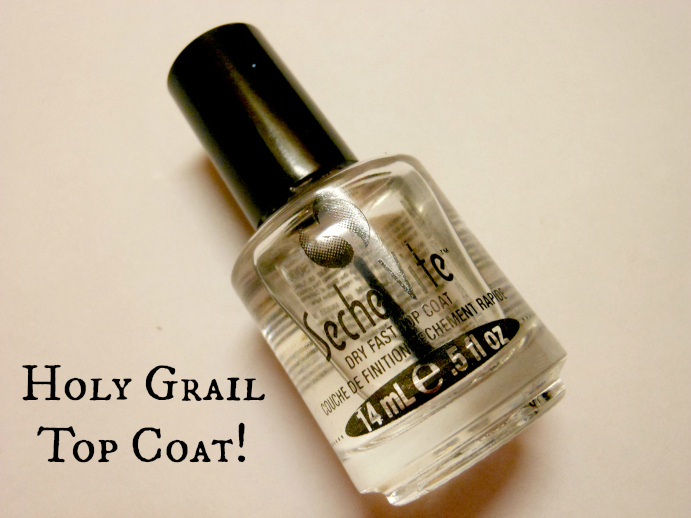 To prevent snags, smooth the nail bed and give your glitter an extra boost, seal your mani with a high shine top coat. I can’t recommend Seche Vite enough, not only will it heighten the shine but by bonding the layers of polish together, it makes removal a lot less of a headache. 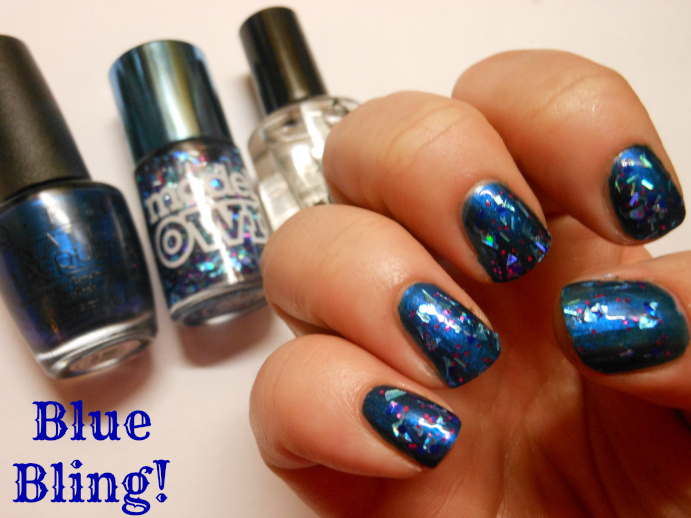 And that’s it – go forth and have the eyes out of heads with your gorgeous glitter nails. 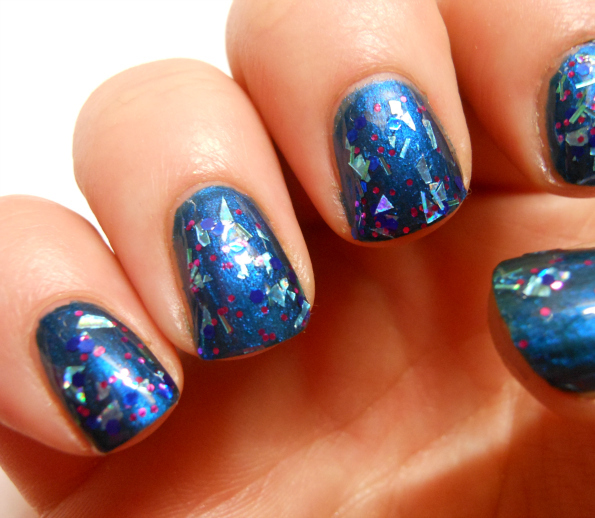 Have you tried any of the Mirrorball collection yet? Lemme know! Its very Purdy!!!! Am styling with essences Twilight glitter polish today. Loving glitters for the festive season!